Paracas, from the Quechua language of the Quechua people of Peru and parts of Bolivia, Chile, Equador, Colombia, comes from "para-ako" which means "sand falling like rain". The Paracas flourished on the south Pacific coast of the central Andes in Peru around 600-150 B.C.E. It is one of the earliest known complex societies in South America. 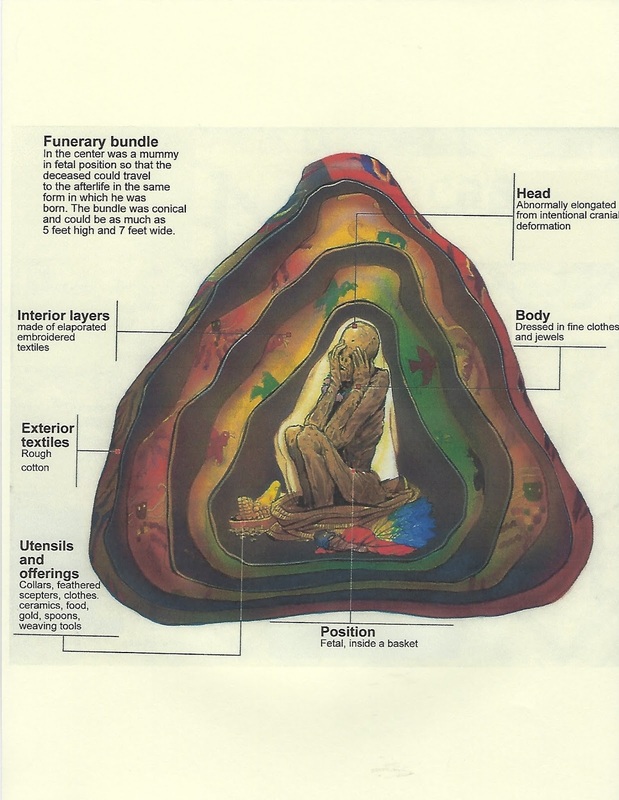 In the ancient burial grounds on the Paracas Peninsula the dead were wrapped in layers of textiles into "mummy bundles". 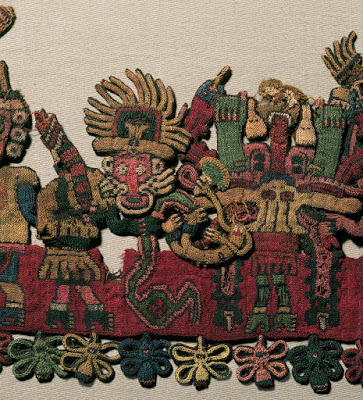 The largest and richest bundles contained hundreds of brightly embroidered textiles, feathered costumes and jewelry, as well as food offerings. 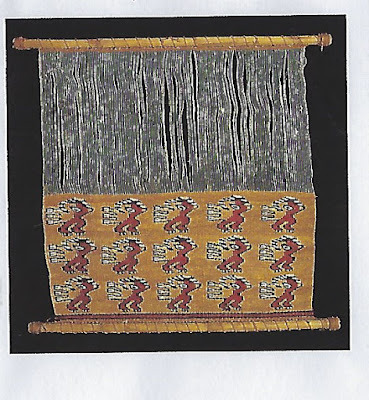 Over the course of several years the noted Peruvian archaeologist, Julio Tello, recovered 394 such bundles. Because of the hot, dry nature nature of the peninsula everything they found was in a remarkable state of preservation. The Great Paracas Necropolis was discovered by archaelogosts during the 1920's. This vast communal burial site held 420 bodies. 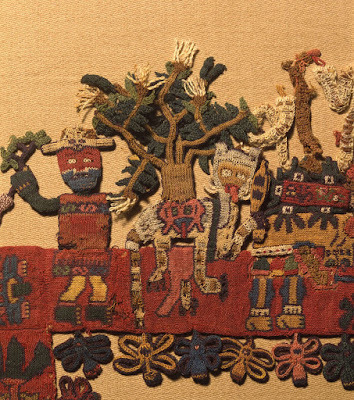 The Paracas Textile is a complex mantle or cloak, most likely a ceremonial object. It measures 58 1/4 x 24 1/2 in.made from camelid fiber and cotton. Mantle consists of 90 individual, colorful figures decorating a border. 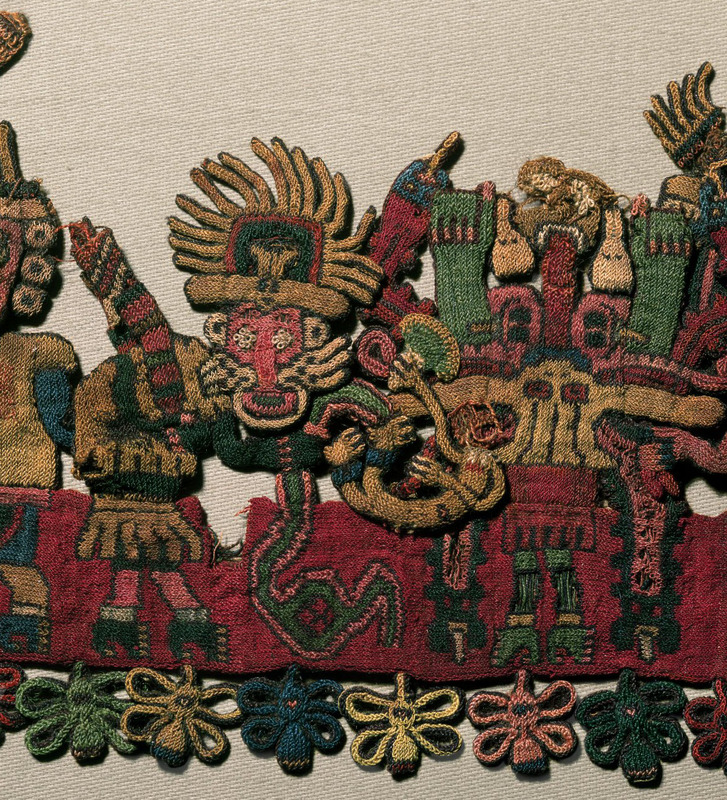 the border of 3 dimensional figures are embroidered in cross-knit looping. 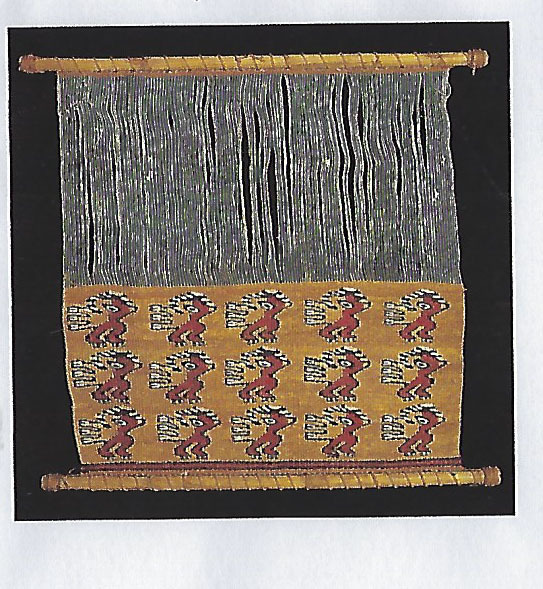 The interior cloth is simple, possibly of an earlier date. Cross-loop stitch flowers join the border to the central cloth. 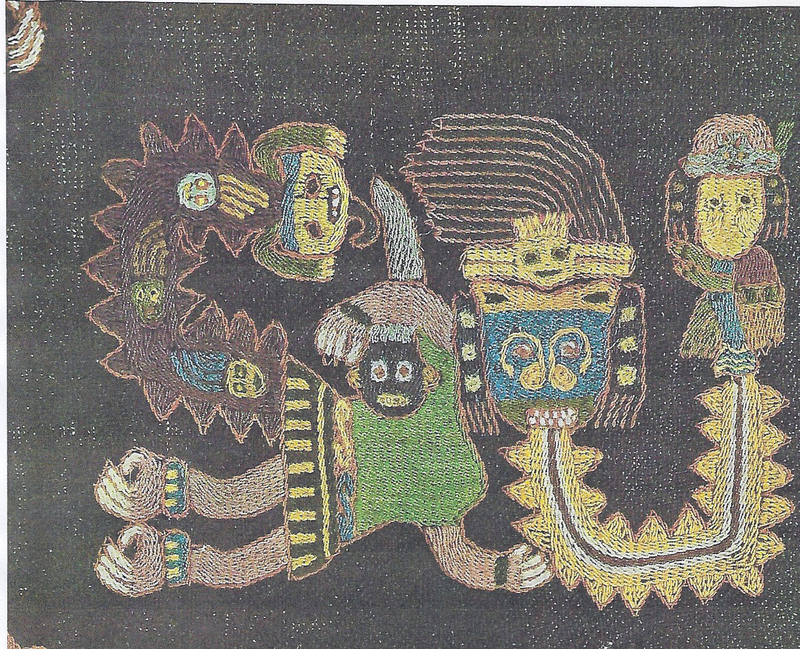 There were, of course many other textiles excavated from the Necropolis.